Printing stickers with an address to send "Ukrposhta"
Sellers of products on the portal prom.ua can reduce the manual labor of filling out the data for sending parcels of "Ukrposhta" to a minimum. The time for creating a sticker for a parcel and an accompanying form (it took up to 10 minutes to complete it) can be shortened to 10 seconds and eliminated possible errors when transferring information. All that is needed is to copy from the customer order card (Order No. 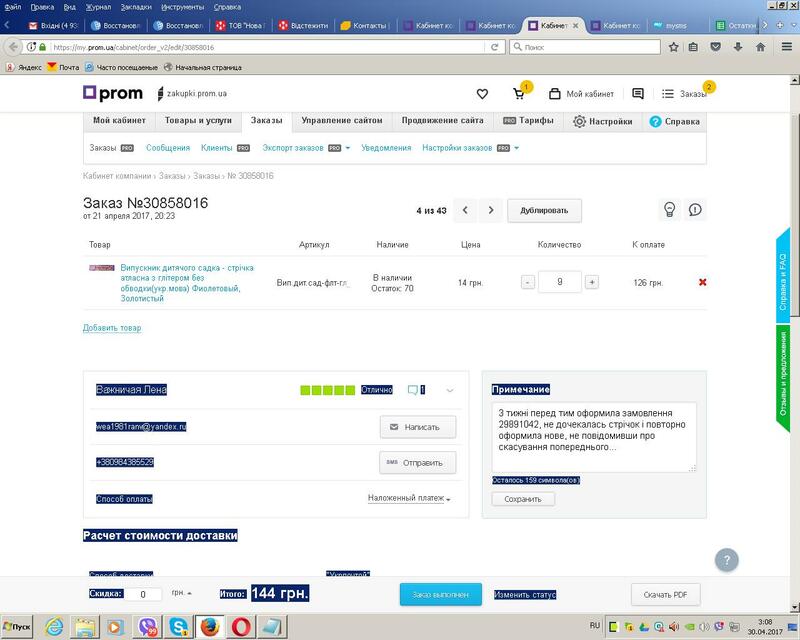 ...) on the prom.ua portal some information with the buyer´s address, the order amount (the fragment of the page is allocated by the mouse) and insert into the google-sheets document, choose, with cash on delivery or Without, and print out the finished result. All data about the buyer, copied in the browser from the portal, are sorted using the formulas specified in the file google-sheets and are automatically entered in the required columns of the accompanying form for sending. 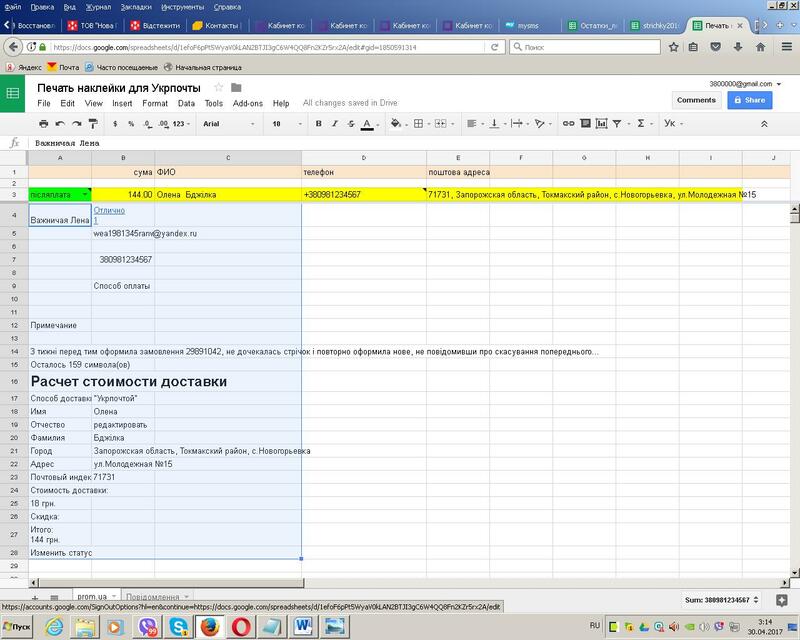 You will be given a link to the google-sheets file - go to this link and create a copy ("File" -> "Make a copy ...") - it will be saved in your Google service account and you can edit it (enter information from orders On prom.ua portal for printing stickers on the parcel with the accompanying document. As errors are detected in this file, corrections will be made to the original file. 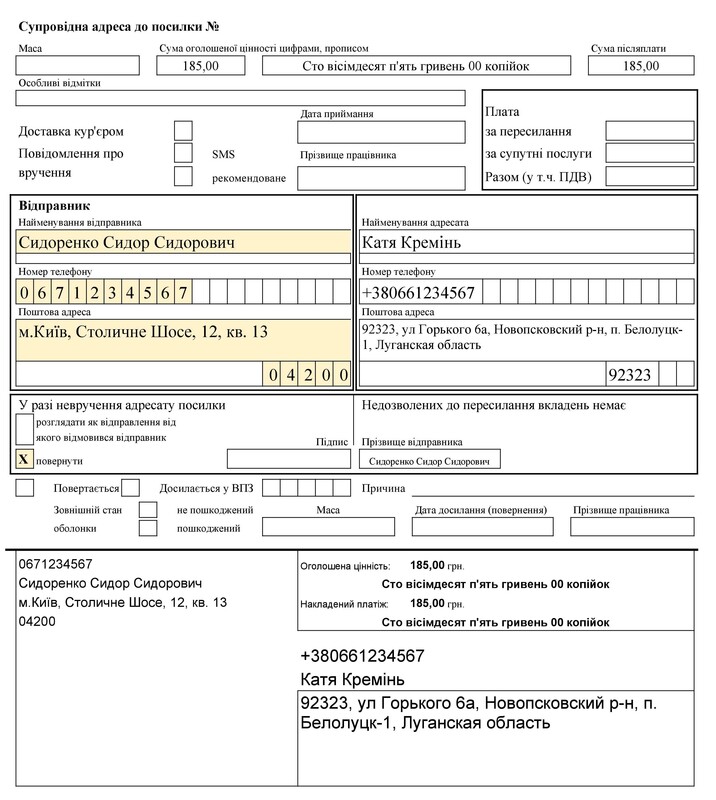 There is also software from Ukrposhta that allows you to independently create a file with addresses for transferring it to a USB flash drive to Ukrposhta operator, but in fact, if you do not use the 1C software to maintain the order database, the self-formation of this file does not speed up the work. As the time you spend on entering data into the file is equal to (or more) the time that the Ukrpochta operator spends on the same procedure as long as you stand at the receiving box of the parcels.